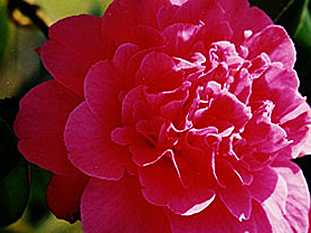 Mount Edgcumbe is the earliest landscaped park in Cornwall with Grade 1 historic garden, temples,follies, shell seat , National Camellia Collection, Daffodils & bluebells. 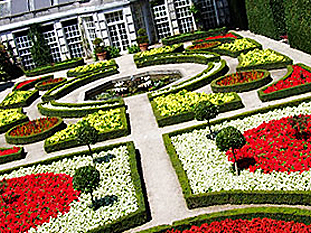 Formal gardens in European, New Zealand & American styles. 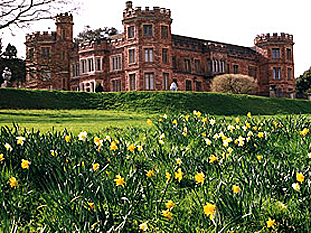 Sir Richard Edgcumbe of Cotehele built a new home in his deer park at Mount Edgcumbe in 1547-53. Miraculously the walls of his red stone Tudor House survived a direct hit by bombs in 1941 and it was restored by the Earl of Mount Edgcumbe between 1958-64. It is now beautifully furnished with family possessions, including paintings by Sir Joshua Reynolds, Gerard Edema and William van der Velde, Irish bronze age horns, 16th century tapestries and 18th century Chinese and Plymouth porcelain. The Earl’s Garden was created beside the House in the 18th century. Ancient and rare trees including a 400 year old lime, a splendid Lucombe oak, and a Mexican pine, are set amidst classical garden houses and an exotic Shell Seat. Colourful flowers and heather grace the re-created Victorian East Lawn terrace, which has spectacular views over Plymouth Sound. Access from Plymouth is via the Tamar Bridge (A38) to Trerulefoot roundabout; then via A374 and B3247 (brown signs) to Millbrook and Mount Edgcumbe. Allow 50 minutes travelling time from Saltash (40 minutes at off peak times). The Torpoint Car Ferry is available at approximately 10-minute intervals and queues form in high season. From Torpoint use A374 and B3247 (brown signs) via Antony. Allow approximately 40 minutes travel time (30 minutes off peak). Access from Cornwall, head for Liskeard then follow the A38 to Trerulefoot roundabout, then A374 (Torpoint) and B3247 (brown signs) to Millbrook and Mount Edgcumbe. Allow 45 minutes travel time from Liskeard. Disabled access: Please contact us in advance for help with wheelchair access to the House. There is a small lift in the House.